Provide tips for consumers to reduce food waste, starting in the supermarket. Provide tips for corporations on how to limit their food waste and manage catering events to avoid excess food. Explain the rules and regulations that govern expiration dates and lead to unnecessary food waste. Navigate food safety concerns and understand tax incentives and write-offs for donating food. Allow individuals interested in reducing their impact on food waste to explore alternative options for their unwanted food, such as composting. 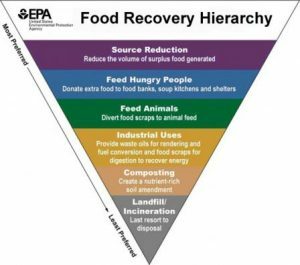 Provide an inventory on organizations, farms, and companies in Madison and Dane County Area dedicated to redistributing excess foods and limiting food waste. This inventory will also serve citizens who are interested in donating goods, as well as those in need of obtaining food. Serve as a resource for consumers, farmers, and organizations alike to make a conscious effort in the Dane County Area to reduce food waste. 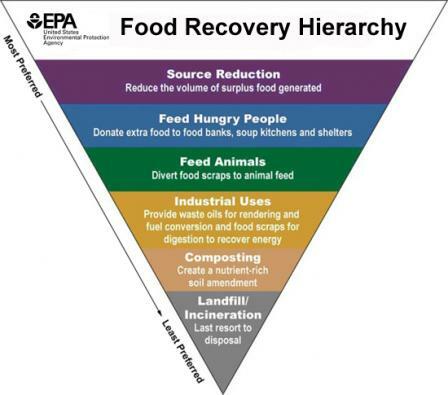 The Food Waste and Recovery Guide was developed by Mouna Algahaithi, Angad Dhariwal, Johanna Doren, and Samantha Minor, through an internship with Dane County UW-Extension. Guidance was provided by: The Food Waste & Recovery Work Group, a joint work group of the Dane County Food Council & Madison Food Policy Council, La Follette Key Club, Dane County UW-Extension, the City of Madison and Public Health Madison & Dane County.